When 13-year-old twins Sophie and Liv spend their spring break vacation with their grandparents in Arizona, they discover that the ranch in the Sonoran Desert is full of surprises. Both girls love horses, and they're thrilled to meet their grandparents' herd of Spanish Barbs who roam freely on the 3,000-acre ranch. Soon, however, the girls encounter more adventure than they bargained for. 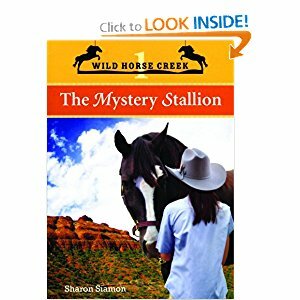 When their grandfather's stallion is badly injured and the rest of his herd disappears, the twins try to find the missing horses and get to the bottom of the mystery. Along the way, the girls encounter rattlesnakes, good-looking cowhands and an interesting cast of characters who work at the ritzy local spa. Throughout their adventure, the twins come to terms with the fact that they are separate individuals with different paths to follow. I love these books and I think lots of other horse lover will too! Return to Share Your Favorite Horse Book Series Too!.